You may know it already, Playdom Games is shutting down Marvel Avengers Alliance Tactics (MAA Tactics). Yes, Playdom is shutting down MAA Tactics. If you are playing it like me, it's sad day for us. But if you are playing Marvel Avengers Alliance on Facebook like me also, it's FREE GOLD for us. 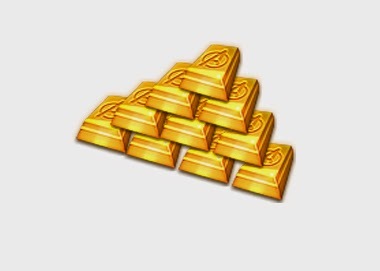 Playdom is giving away TWENTY PIECES of GOLD for Marvel Avengers Alliance as a "Token of Appreciation" for playing MAA Tactics. This is the same thing they did when they announced shutting down POTC: Isles of War. (Insert Britney Spears song here) Ooops! Playdom Did It Again! What the heck! How many games does Playdom have right now? If you are playing MAA Tactics, go to the Game Page on Facebook. If you are not playing it, sign-up here. For existing players, you will now see the shutdown notification upon logging-in. You may click the option to "Claim Gold Now". For new players, there might be some initial window or introduction video or animation. Wait for it to finish and wait for the shutdown notification. If you did not see the shutdown notice, check the upper part of the Facebook App Page.Click on the option that says "Click here if you haven't claimed the bonus gold for Marvel: Avengers Alliance". Marvel Avengers Alliance App Page should open a new tab or window. Click on Collect button. Congratulations! You have just been twenty gold richer in Avengers Alliance! Use it wisely! You may remove MAA Tactics from your apps afterwards if you are not playing it.